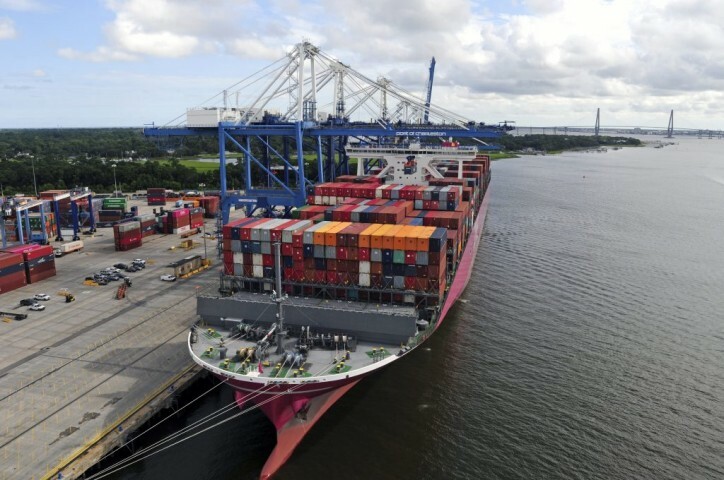 Yesterday South Carolina Ports Authority (SCPA) announced 200,594 twenty-foot equivalent container units (TEUs) handled during the first month of fiscal year 2019, marking the strongest July on record and second-highest monthly container volume in the Port’s history. July TEU volume increased 10 percent year-over-year compared to 182,411 TEUs handled in July 2017. Last month nearly surpassed the Port’s all-time highest monthly volume, achieved in June with 201,163 TEUs. Last month was also a record July for pier container volume, or total boxes moved. SCPA handled 114,297 pier containers at the Wando Welch and North Charleston terminals, surpassing the July 2017 record of 103,319 pier containers. Inland Port Greer also achieved its strongest July to date, with 9,798 rail moves last month. In the non-containerized cargo market, Charleston handled 36,706 net tons of breakbulk cargo in July, including 12,462 finished vehicles.